The A' Building Materials, Construction Components, Structures and Systems Design Awards 2018 is Welcoming Registrations and Submissions from Designers, Companies and Branding Agencies Around the Globe. 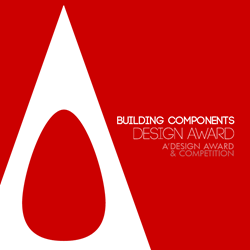 The A' Building Materials, Construction Components, Structures and Systems Design Awards is organised yearly by A' Design Award and Competition in pursuit of recognising excellent building components designs by building material manufacturers, construction component producers, structure designers and architects that were completed within the last 10 years. Each year, A' Building Materials, Construction Components, Structures and Systems Design Competition features a reputable jury panel of specialist in building components design to evaluate projects submitted to A' Design Award. First phase of the A' Building Materials, Construction Components, Structures and Systems Design Awards is the preliminary round where designers submit their projects for preliminary evaluation. Building components design projects that have received a high preliminary score in the preliminaries can proceed with nomination. However, the registration and submitting a design for the preliminaries is free of charge, there is a fee for nominating entries for the finals. Deadline for late submissions is on February 28, 2018. All building materials, construction components, structures and systems design project should be submitted by this date, however further modifications could be made within seven days of entry. Results of the competition will be released on April 15, 2018 through a wide network of design oriented publications and media partners.